I actually had two costumes this year. 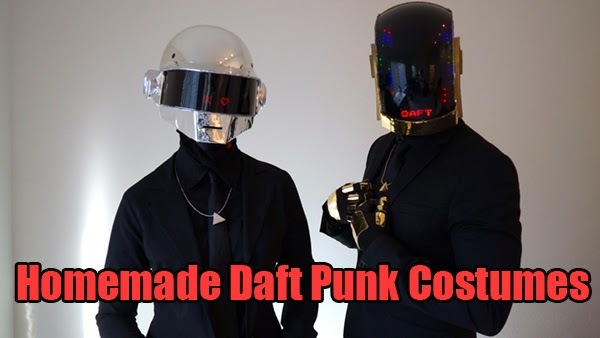 In addition to the Breaking Bad costumes, I also made some Daft Punk costumes for me and my gf. While I didn't wear the Daft Punk costume to work, it's too cool not to post. Here's a music video we made for fun, check it out! With AMC's series "Breaking Bad" wrapping up just weeks before Halloween this year, we couldn't help but pay homage to one of the best shows on TV! This year my coworker and I turned the outside of our cubes into Walt and Jesse's RV, and I built a bubbling, smoking, meth lab in mine, complete with blue rock candy "meth". It was a huge hit! Halloween 2012: The Roaring 20's! So what better theme than "The Roaring Twenties!"? It's an easy enough theme for people to participate in (even the laziest of people can grab a cheap fedora from Target, throw on a tie and maybe a pair of suspenders), and the centerpiece would be turning my cube into a speakeasy (complete with "illegal" booze)! 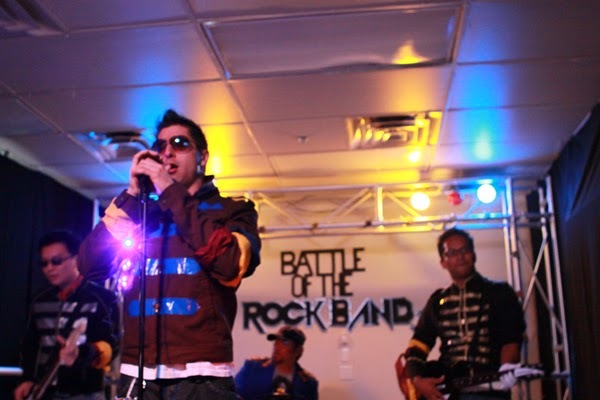 This year our Halloween theme was "Battle of the Rock Bands"! If for no other reason than to have an excuse to play video games at work!